Music has been such a huge part of my life. Maybe I was born with some natural interest or ability, but I think it was my mom who really taught me to love classical music. I started piano when I was 8 years old and violin when I was 12. My the time I was 13 I was saying that I wanted to be a music major. I loved music, not every day, there were many days I hated it. But most of the time I knew without doubt that music was what I was supposed to be doing. And during all those years my mom was there either encouraging me, or forcing me, to stick with it. Both of my parents love classical music. When my friends were listening to Radio Disney, or NSYNC (I just had to google how to spell that. That's how out of touch I am) we always had the classical station on at home, or on the car. I didn't always like it, but I was exposed to classical music from a very young age. As a part of our home school we often went to see the Minnesota Orchestra, the St. Paul Chamber Orchestra, and the Minnesota Opera. And we all took piano lessons. I was thrilled when I started piano lessons, and even more thrilled when I start violin lessons. But I was a normal kid, and if left to myself I would have never practiced. Everyday my mom was reminding me, ok, forcing me to practice. Every week she was there in my lessons, paying attention, even taking notes for me. When I was practicing incorrectly she called me out on it, it drove me crazy, but now I see how lucky I was that she was so involved in my musical training. Without that involvement I surely would have quit. The Bethel University Orchestra on tour in Germany. But thanks to my mom I stuck with it. I played with Minnesota Youth Symphonies for 4 years. I received music scholarships for college. While in college I had the opportunity to travel around the country and to Europe with my orchestra. I featured as a piano soloist with the orchestra my senior year. I've given 3 solo recital. I've composed my own music. I graduated with a bachelor of music in piano performance. And now I run my own business teaching piano and violin lessons. If my mom had let me quit I wouldn't have done any of that! Now I'm 28 years old, and I've been a music teacher for 7 years. When parents are having trouble with their child not wanting to practice or wanting to quit altogether I tell them about how, even thought I loved music, I still had to be forced to practice. I tell them about how my mom sat in on my lessons and took notes, and how it drove me crazy, but was so helpful. I'm seeing now that you can get the best teachers, and the most expensive instruments, but if a love of music isn't fostered in the home, it won't amount to a thing. I see now so clearly just how much I have to thank my mom for who I am today. I'm so glad my parents love classical music. I'm so glad it rubbed off on me. I really hope it will rub off on Johnny. He seems to be off to a good start! you wouldn't want your daughter to associate with. My dad introduced me jazz music. He loves jazz, so we listened to a lot of jazz in our house. I have so many great memories of doing the dishes together in the kitchen with our local jazz station on. Louis Armstrong, Billy Holiday, Benny Goodman, Duke Ellington, Frank Sinatra, they have all been familiar to me since I was a little girl. These were the songs my parents danced to in the kitchen, the songs my little sister and I pretended we could tap dance to. My dad and I danced to Louis Armstrong at my wedding. Because of all that, I love jazz too. When I was around 12 years old we happened upon the Ken Burns documentary, Jazz, on PBS. 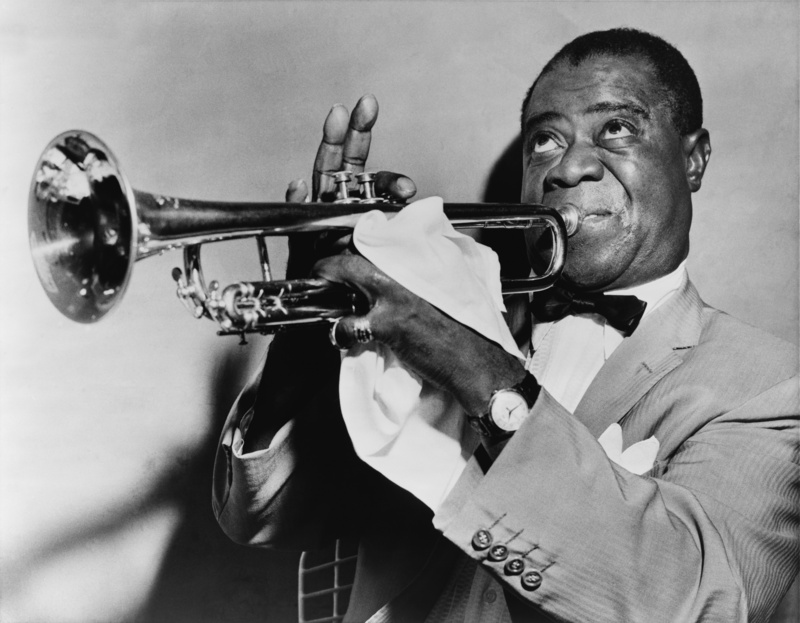 There's about 10 episodes, each over an hour long, and it goes through the entire history and development of jazz. If you've never seen it, it's wonderful and I highly recommend it. Anyway, every night my entire family would gather around the TV to watch Jazz and learn even more about all the musicians we already loved. 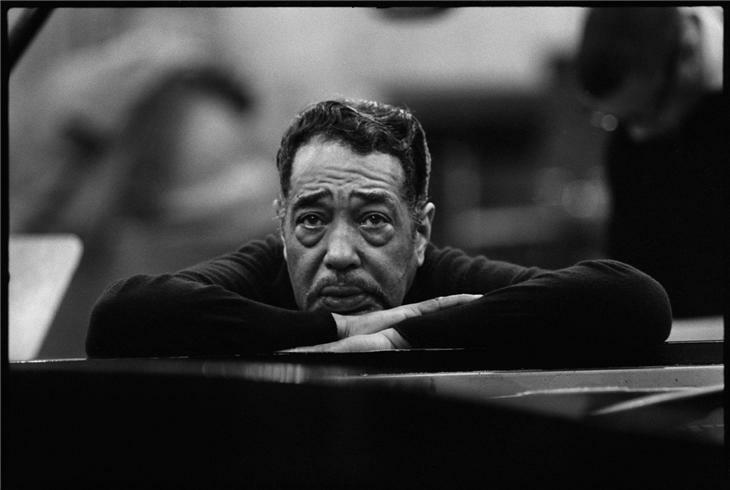 The thing about jazz that is so amazing to me is that is sounds so effortless and easy, but in my experience, it's the hardest kind of music to play. And it's the only kind of music I can't play. I tried once. One semester in college the jazz band needed a piano player and I thought that sounded like fun, so I went to a rehearsal. I'd been playing music almost all my life but when I looked at that jazz music I had no idea what to make of it. We'll just say that I didn't last long in jazz band, but after my very brief stint at it, my appreciation, respect, and awe of jazz musicians increased exponentially. So I remain a jazz lover. I love how jazz can make you feel so many things. It can make you feel classy and swanky. It can make you feel care free and goofy and all you want to do it tap your feet and dance. Sometimes it makes you feel introspective and melancholy. Whatever you're feeling, jazz is always a suitable life-soundtrack. Happy Birthday to my dad today! I love you!